The UK has been subjected to cooler weather this summer which has unfortunately affected sales of BBQ related products, as we discussed on a recent blog post. However, it seems that fruits that are synonymous with summer are still reigning champions and experiencing a healthy growth in sales. British Summer Fruits observes that sales of berries will collectively hit £1 billion this year, a huge jump from £300 million in 2004. The industry body, which represents 98% of berries sold in supermarkets, has also seen record sales of raspberries from all countries, up 16% from the previous year’s £158 million. Sales of blueberries are up by nearly a third and blackberries 6% in the year to mid-July. Interestingly, demand for the British classic, strawberries, has only seen a 0.6% increase year on year; they been in the limelight a little too long? Findings from Waitrose also show a similar trend, with berries and cherries being the ‘favourites of the fruit aisle’, seeing sales rising by 30% and 31% respectively. Meanwhile, discount supermarket chains like Lidl and Aldi have also seen a rise in sales of fruit, with the latter seeing sales of strawberries increase by a fifth year on year. We’re blending and juicing more than ever, with John Lewis selling one Nutribullet every four minutes!. 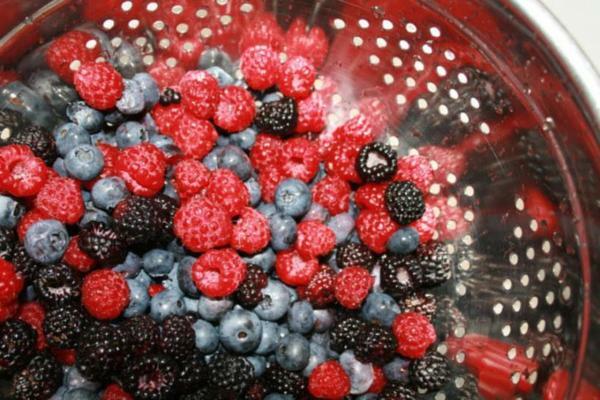 Berries seem to be the favourite smoothie flavour with their low sugar content and wide variety. With summer being the best time of year to buy the freshest berries, and with the ‘clean eating’, smoothie drinking trend sweeping across the UK, it’s easy to see why demand is so high. At Competitor Monitor, we also think it could be that we’re becoming more educated on the generous health benefits of these colourful fruits, particularly with blueberries being hailed as a “superfood” by many nutritionists. Seasonal and food trends aren’t always predictable, but at Competitor Monitor we can help you to monitor prices and outsmart the market. Our aim is to help the world’s leading companies to stay competitive, whatever the trend. Why not take a tour to find out more?